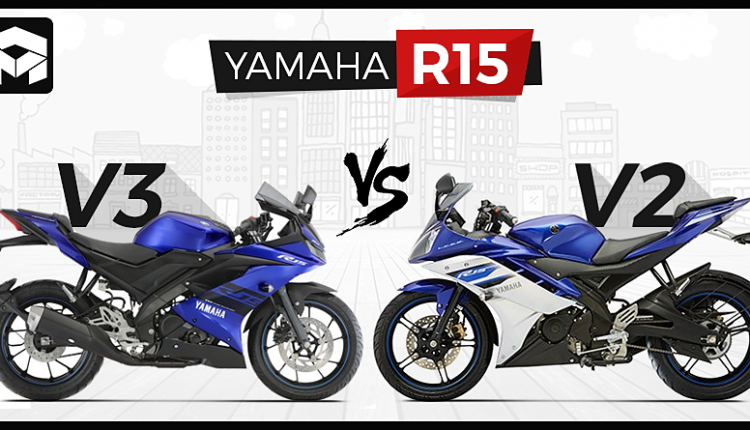 Yamaha R15 V3 vs R15 V2: Yamaha R15 Version 3.0 is available in India for INR 1.39 lakh (ex-showroom India). It is the most powerful version for this lightweight SuperSport series as none other variants could even reach the power output that is offered in the stock version of Yamaha R15 V3. In fact, the list of changes in the third version is huge, covering nearly every aspect of the motorcycle after such a long time. The departure from the design language of R15 Version 2 is pretty clear on all sides. The new motorcycle is highly inspired by flagship Yamaha R1 and race-spec R6 as one could see the design elements that are shared between three of them. 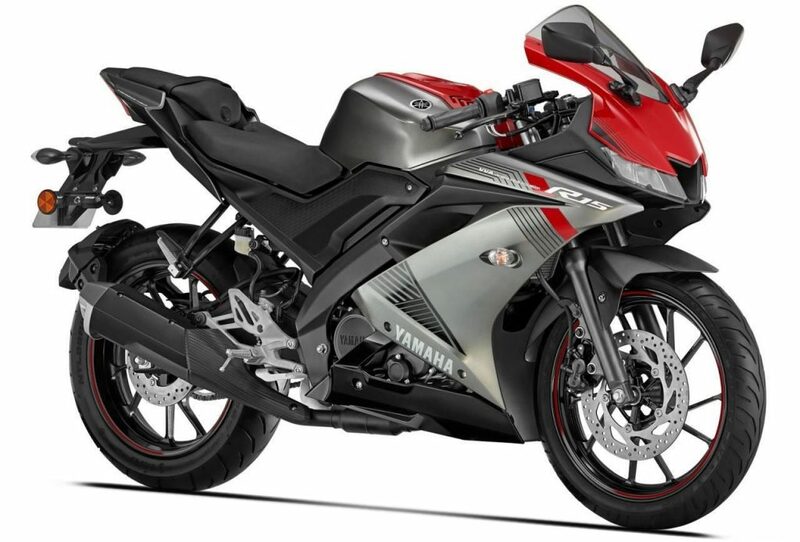 Yamaha R15 Version 3.0 is more upright while R15 V2 is more like the old school race designs that went extinct with the launch of next-generation R1. The fuel tank now feels much bigger in size while capacity is still 1 litre less than the original version. 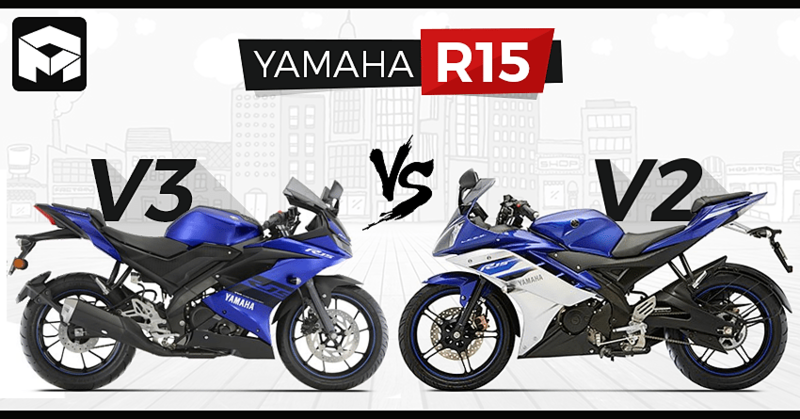 Here comes the next big thing for Yamaha R15. 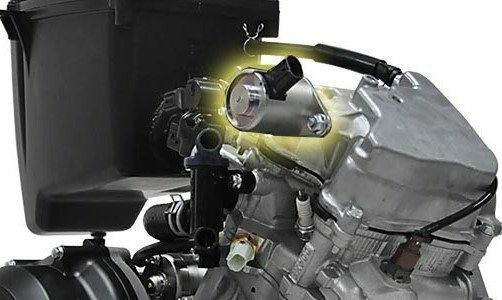 The third generation motorcycle comes with twin LED headlights when compared to those huge twin halogen units on R15 V2. New headlights are sleek, helping the designers save more space for air channelling and weight reduction. The next generation face was even not possible without these headlights as the pointy nose of R15 V2 is now replaced with mature and aerodynamically more efficient facial expressions. Being LEDs, they were supposed to have a more powerful overall throw but as per most of the owners, the headlight intensity of R15 V3 is poor in comparison the R15 V2. 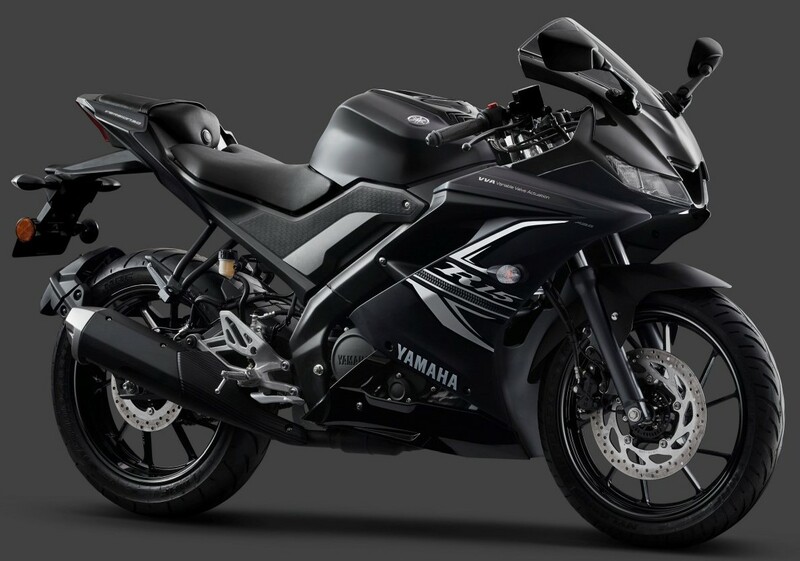 Yamaha R15 Version 3.0 carries the most powerful of all 150cc engines available internationally. The 155.1cc, single cylinder, liquid cooled and fuel injected motor is good for 19.3 HP at 10,000 rpm and 14.7 Nm at 8,500 rpm. The engine comes mated to a 6-speed gearbox. If compared to the R15 V2 (17 HP and 15 Nm), the values for R15 V3 are highly satisfying. A rider’s personal video in Indonesia has claimed 144 kph of top speed (as per the speedometer) for the YZF-R15 V3. The 6-speed gearbox on Yamaha R15 Version 3 is paired to slipper clutch for better on-track performance. 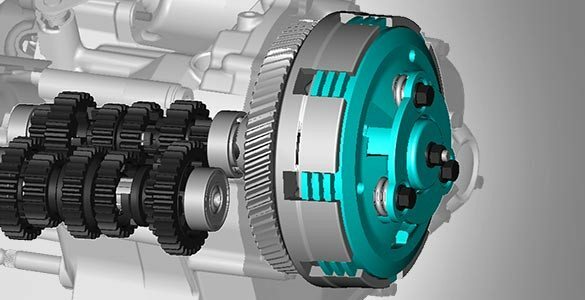 The other name for slipper clutch is back torque limiter, briefly explaining the function of this equipment through these three words only. It does not just eliminate the effect of engine braking during deceleration, the freewheel mechanism helps the rear wheel stay in place and keeps the required traction alive. Whenever the rear wheel tries to push the engine over its own limit, the clutch disengages itself to save the rider as well as motorcycle from the resulting loss. 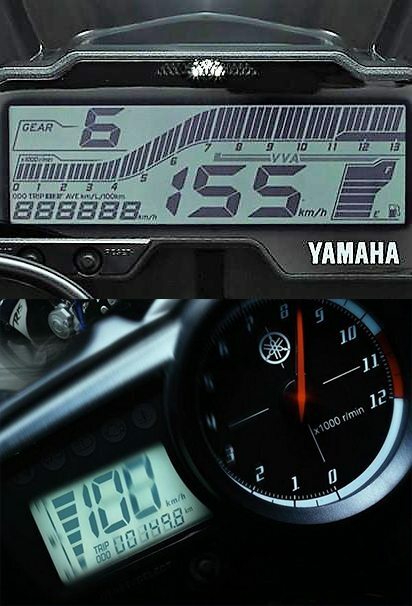 Yamaha R15 Version 3 is equipped with VVA technology. It stands for Variable Valve Actuation. It is a technology that selects intake cam lobes for low speed and high-speed range. A certain rpm is considered as the shifting point (6000 rpm in this case) and that results in linear acceleration on both the ends. That helps the rider enjoy the feel of getting an equal ratio of power on both low end and the top end of the rev range. If we remove VVA from the setup, one would surely feel the need of riding above a certain rpm limit as most riders of the R15 V2 feel in real-world driving conditions. 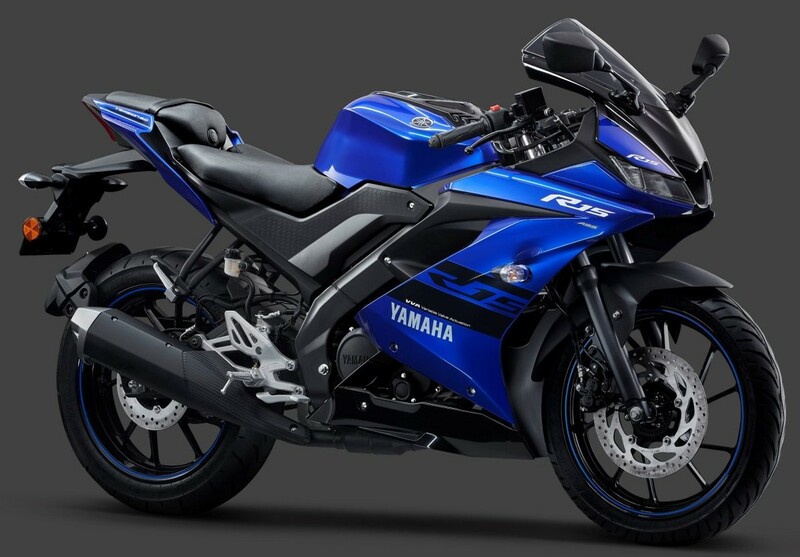 The 2019 model of Yamaha R15 comes with standard telescopic forks for the Indian market. USD forks were limited to the Indonesian model only. The benefits of upside-down forks include improved handling, longer slider for more reliability and added rigidness to stay alive after hard braking on high capacity motorcycles. The motorcycle stops when we brake but all of the impacts go right into the suspension as it is the connecting part between the tire and rest of the body. All of the body weight pushes the suspension to the opposite direction on a bike. You May Like: Yamaha R15 Version 3 Top Speed Video, Touches 151 KMPH! 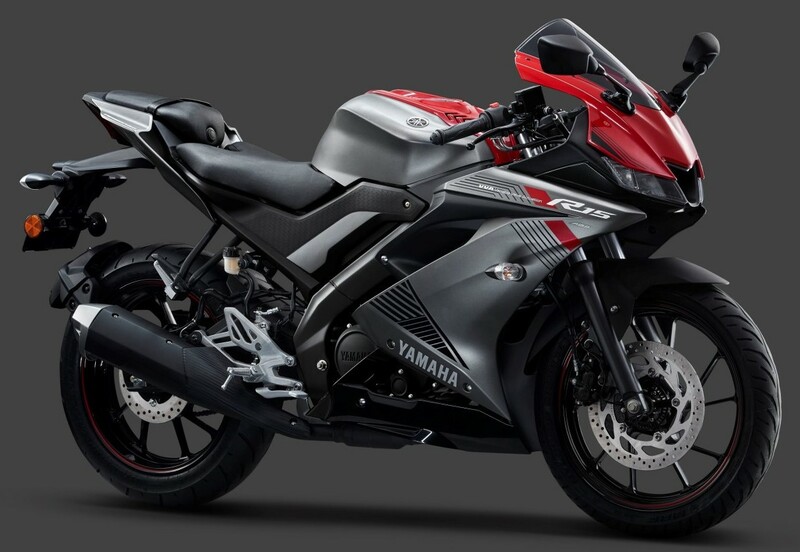 Yamaha R15 V2 has one of the most beautiful consoles among all bikes in India. Still, it lacks a lot of features when compared to arch rivals and that resulted in the use of a fully digital instrument console on the third-generation model. The console on V3 now comes with features like instantaneous mileage, average fuel used, gear shift indicator, digital tachometer, and VVA indicator. It is easy to read and has dedicated odometer, trip-meter and a large speed display in the middle. One can see the digital fuel indicator on the extreme right side. 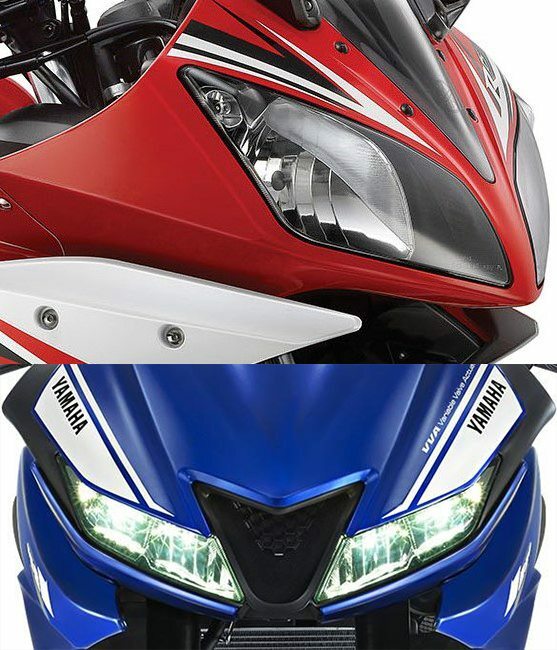 Yamaha R15 V2 is known for its gloss filled shades from its initial days of launch. They have been actively playing with colours from almost one decade as every year, a couple of new shades were found for the motorcycle. 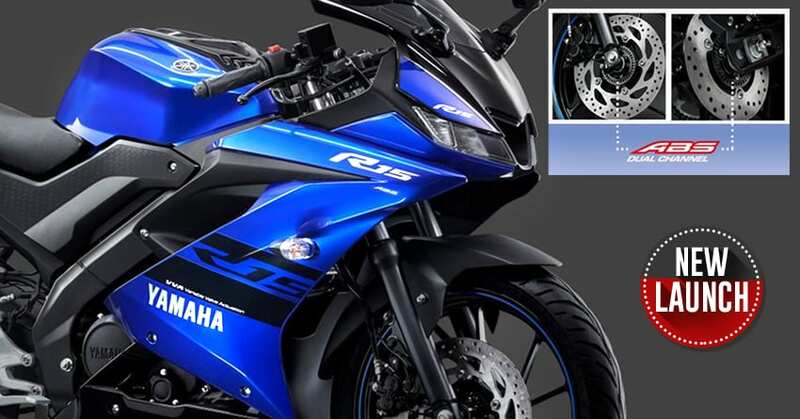 This time, Yamaha R15 Version 3.0 is offered with Racing Blue, Thunder Grey, and Darknight as their shades. 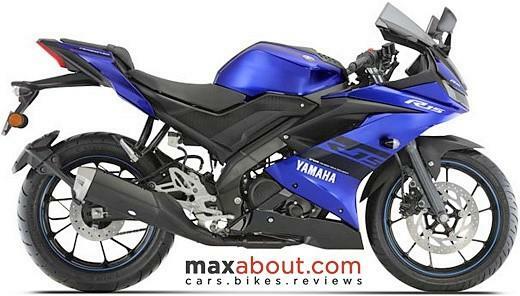 Yamaha R15 V3 use better tires when compared to the present version. The front measures 100/80-17 while rear used on V3 is massive 140/70-17. This adds more traction to R15 as a newly developed high-performance engine sends much more power to the rear wheel in comparison to the old version. R15 V2 comes with 90/80-17 and 130/70-17 tires at front and rear respectively. 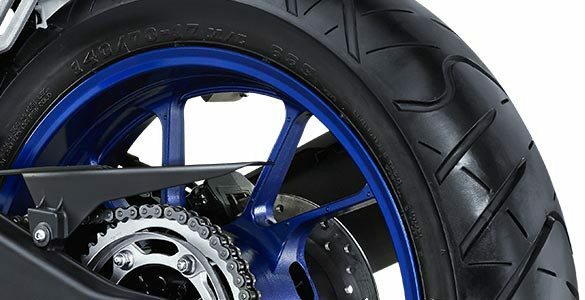 Wider tire, along with its wider sidewall helps the motorcycle absorb bumps in a better way on R15 V3. The brake, tire and suspension combination enhances the overall performance of this motorcycle. 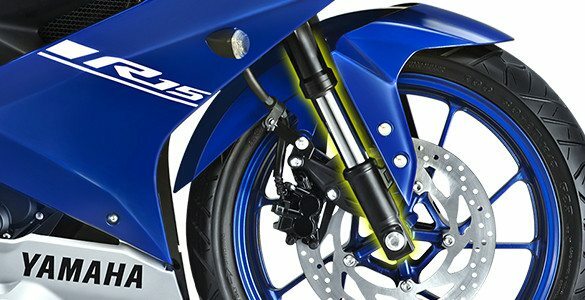 Yamaha is using bigger 282mm front and 220mm rear disc brake with ABS on R15 V3. This combination is much more effective than 267mm and 220mm brakes on the V2, that too without ABS. The increase in surface area facilitates better braking on the new bike. R15 V3 is 20mm longer, 55mm wider and 65mm taller than the present generation model. Version 3 has gained 6 kg of additional weight while 15mm of rise in seat height was seen in this transition. Yamaha offers 170 mm of ground clearance on the third-generation model (V3) while V2 is good for 160 mm. The fuel tank now measures 11 liters while the use of different design also brings change to the sitting position. The flat top of the fuel tank is inspired by bigger R series motorcycles. 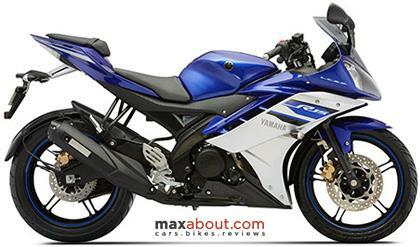 Yamaha R15 V2 was priced at INR 1,18,800 (now discontinued) while R15S carries a tag of INR 1.17 lakh. The long list of additions makes the new R15 V3 good for INR 1.39 lakh worth price tag. The R15 V3 Darknight edition (Matte Black) is available in India for INR 1.41 lakh. 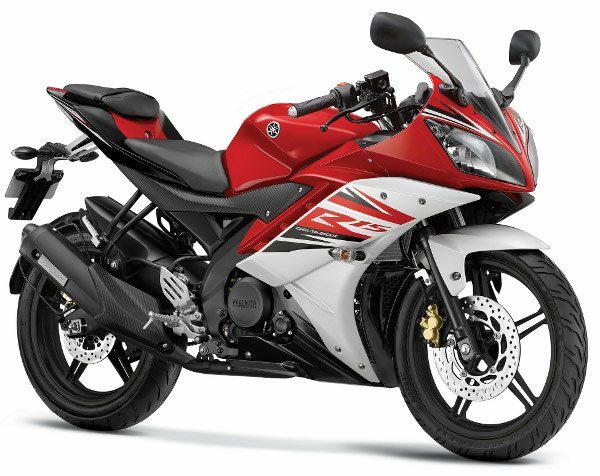 It is undoubtedly the most powerful 150cc bike that one can buy in 2018.